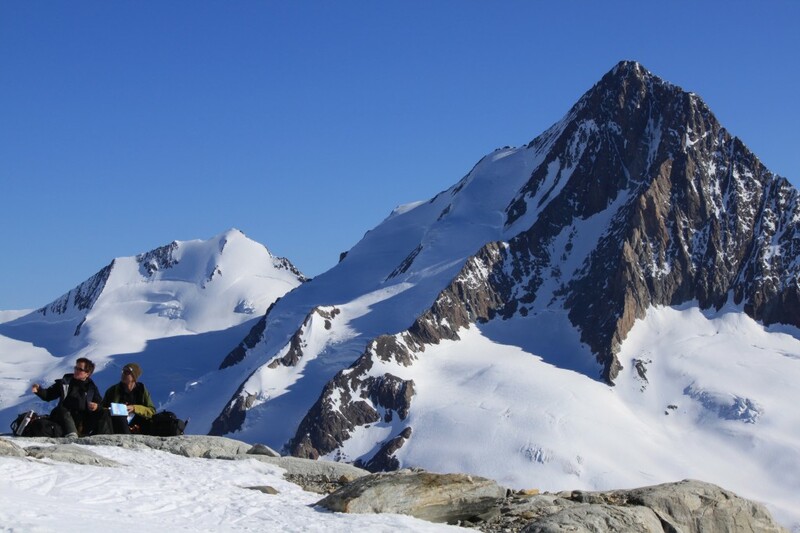 This classic tour offers some of the most breathtaking views of the European Alps. Staying in beautiful Alpine Huts and traveling light with only daypacks, we will cross 8 different glaciers with options to climb and ski 5 peaks. The tour’s finale is a 6,000 vertical foot ski to the valley to Conche! Starting in Interlaken, we will ride the famous train which brings us up to the Jungfraujoch via the Klein Scheidegg at the base of the Eiger North Face. The Berner Oberland Haute Route offers tremendous peak skiing possibilities. Entering the Eiger massif via the Jungfraujoch at 3,454 m (11,329′), we find ourselves in the heart of the mountains. Our guides will assure you the finest technical and cultural experiences. Their familiarity with the area and its people will provide you with a safe and complete experience. The team: We have an exceptional group of friends, all professional mountain guides, IFMGA certified. Our guides have an intimate knowledge of the haute route and are dedicated to sharing this incredible experience with you. All the guides are bilingual or more, they have travel the world, ski and climbs in many mountain ranges. You will enjoy their expertise, companionship and professionalism.